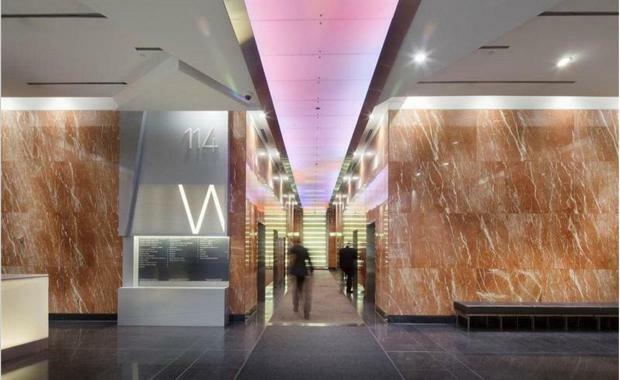 [tweet_dis]Kyko Group is moving to sell a prime Melbourne asset, the landmark 114 William Street office tower[/tweet_dis]. The trophy building is located on a prominent corner in thewestern end of the Melbourne CBD. CBRE’s Mark Coster, Luke Etherington and Rick Butler have been appointed to steer the Expressions of Interest campaign in conjunction with Leigh Melbourne and Nick Rathgeber of Colliers International. Kyko Group’s Director Bill Jenkings said the timing was right to sell 114 William Street and it accorded with what the company believed was a "very good market". "Over the past 12 months we have been strongly targeted with off-market approaches however we felt it most appropriate for us to take 114 William Street to the open market via a public campaign," he said. Mr Coster said local and international buyer interest was expected, given the quality of the asset and its premier location. “The building has benefitted significantly from a substantial repositioning and sustainability upgrade plan executed by the current owner – Kyko Group. This has resulted in impressive lease deals and strong leasing demand at 114 William Street,” Mr Coster said. The 25-level William Street tower comprises approximately 21,058sqm of net lettable area across 22 levels. There are three prominent ground floor retail tenancies and two levels of basement parking for 106 cars. Key tenants include Westpac, AMC Consultants, Cornwall Stodart Lawyers, Host Plus, Bentley Advisors Pty Ltd and MacPherson & Kelley Lawyers. Leigh Melbourne of Colliers said the appetite for investment opportunities in Melbourne’s west end had been highlighted in recent times by GPT and GPT Wholesale Fund’s joint purchase of the CBW site for $608 million. In the case of 114 William Street, Mr Melbourne said the building would be viewed as an attractive investment proposition benefitting from the potential for significant growth in the existing income. “This is a landmark asset that is eminently leasable given both its location and flexible, efficient floor plates which enjoy excellent natural light and city views. There is also potential for significant rent reversion in the short to medium term,” Mr Melbourne said. Expressions of Interest in 114 William Street close May 27, 2015.